We offer luxury Dartmoor bed and breakfast accommodation at our Dartmoor B&B. 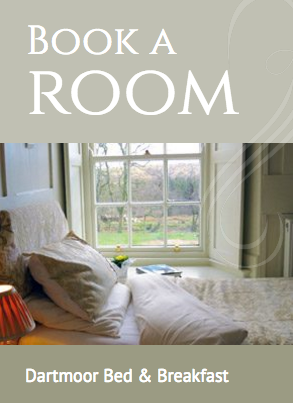 Find us: Tor Royal Bed & Breakfast, Princetown, Yelverton, Devon, PL20 6SL. Phone us on 01822 890189, mobile 07892 910666. We have a very limited bus service being in a rural position, if you hire a car it is advisable to hire a slightly modest one, the main roads are good, but the country lanes can be an experience if you live in the city!